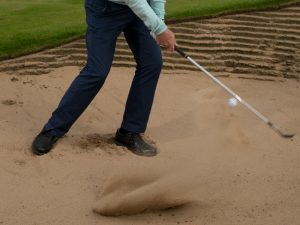 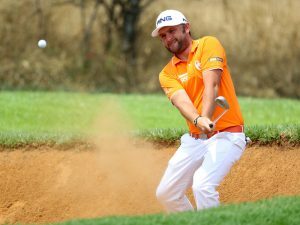 It doesn’t matter whether you’re an amateur or pro the long bunker shot a very difficult one to play well. 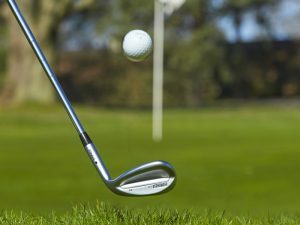 But to make it a little more straight forward, I like to think of this as the same as the greenside splash shot that we showed earlier but with a different wedge. 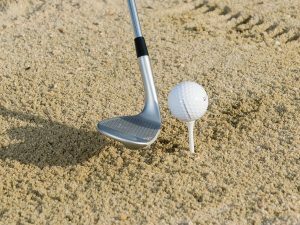 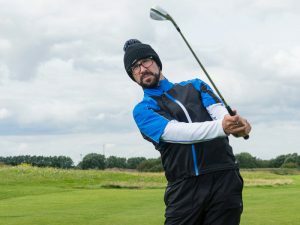 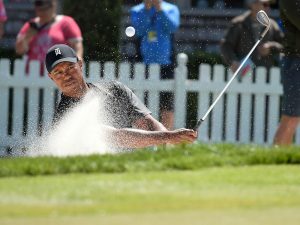 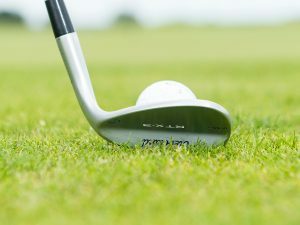 So instead of a lob wedge I’ll use a sand wedge, my 56 degree and try and maintain the same I talked about earlier in my splash shot video lesson – it’s all about using the bounce in your wedge to control the distance and the spin. 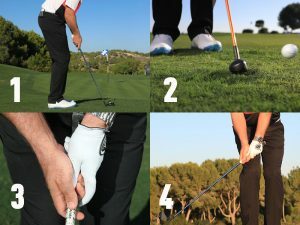 To maximize the bounce of the club and to use it in your favour, it starts with the set-up. 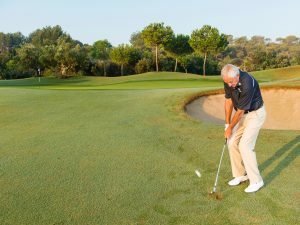 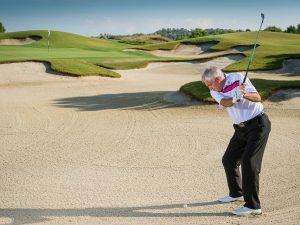 The stance is probably not quite as wide as earlier as it’s a longer shot and you need that mobility in your body (a narrower stance will help you trun a little easier to create the momentum you need in the golf swing), but use the same knee flex and 60-40 weight distribution at address. 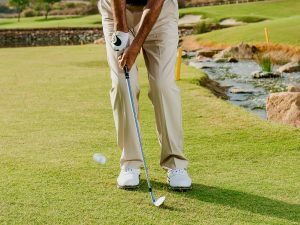 One other difference is that the clubface is not as open for this shot. 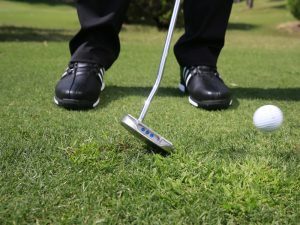 With a long shot, personally, I still like to keep my hands centre to back, even if it is a long shot as I believe this enables you to use the bounce more effectively. 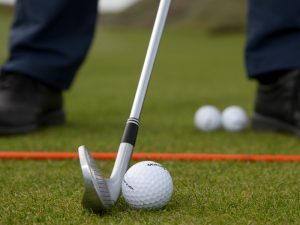 So set your knee flex, more 60-40 weight distribution, hands more neutral, more rotation, and lower, shallower going back. 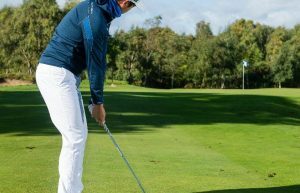 Then on the way down feel the club head releases and really keeping the speed up driving through whilst keeping the knee flexed at impact. 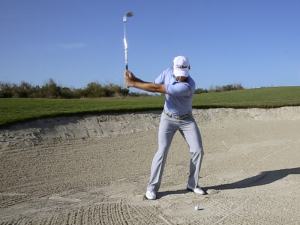 Hopefully those tips will allow you to hit more consistent, better, longer bunker shots.